CEWEP welcomes the European Commission’s 2018 Circular Economy Package, published on 16th January, and its efforts to transform Europe’s economy into a more sustainable one. 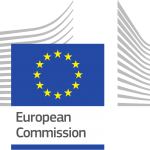 While the Plastics Strategy, which represents the Commission’s vision for plastics in a Circular Economy was prominently noticed by the media and stakeholders, there was little or no attention paid to the Commission’s Communication on the interface between chemical, product and waste legislation (Interface Communication) and the accompanying staff document. It is in fact the latter that gives a comprehensive analysis of the main issues relating to the use of secondary materials this way taking an important step towards a sustainable circular economy. 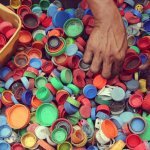 According to the Interface Communication, the two main objectives of the circular economy, recycling as much as possible and reducing the presence of substances of concern can be in opposition. While the Plastic Strategy with its goals for 2030 continues to set quantitative goals, the Interface Communication clearly asks for a qualitative, fit-for-purpose approach. To overcome these limitations more than a vision of a secondary raw material market full of high-quality recyclates is necessary. There is a need for a clear strategy on how to deal with the products which are now in use and will become waste in the future. Their properties cannot be altered by the design vision. The only sustainable way forward when it comes to waste recycling is to implement quality criteria in order to create a market demand. The parts which are not suitable for quality recycling, e.g. due to substances of concern, should be treated in a safe manner in modern Waste-to-Energy plants. This helps to achieve a clean circular economy and is by far more sustainable than landfilling this waste. The EU still landfills more than 60 million tonnes of municipal waste yearly and 31% of all plastic waste generated in the EU is landfilled. Landfilling these waste streams that can be used for material and energy recovery is a fundamental waste of resources. Diverting waste from landfills also helps to avoid littering, microplastics and leaching of harmful substances into the environment. CEWEP firmly supports a sustainable Waste Hierarchy. Waste prevention first, including the reduction of substances of concern. Quality recycling for the waste that cannot be prevented or reused. Waste-to-Energy ensuring a clean circular economy by treating the waste that is not suitable for sustainable recycling. No waste of resources on landfills.